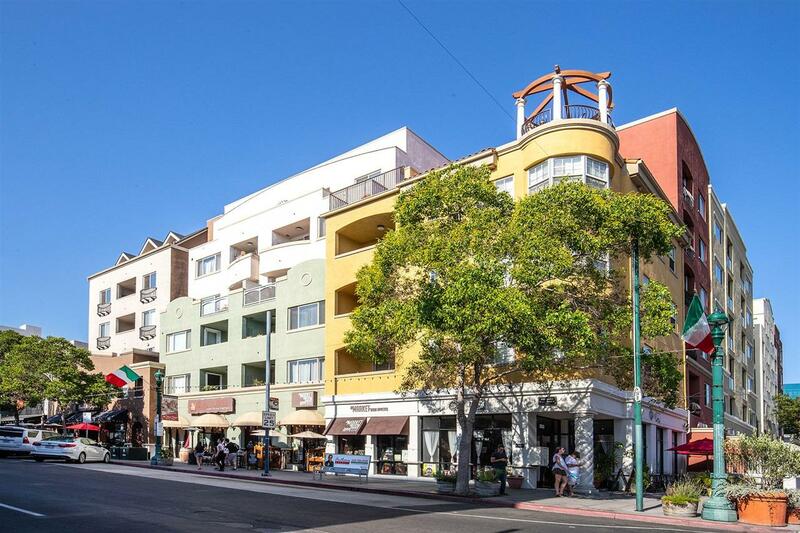 Little Italy living is yours in this fabulous opportunity to buy in a premier downtown location. This single-level, two bedroom, two bath home is located on a street lined with diverse, unique destinations for food, drinks, and culture, and conveys with TWO parking spaces! Enjoy skyline views from the living room and covered patio w/storage space. Easy access to the mailbox and parking garage. Stacked washer/dryer in-unit conveys! The complex features a rooftop common area for a great views, BBQ, etc. Only a few blocks separate you from the waterfront and a few more put you in the center of downtown.